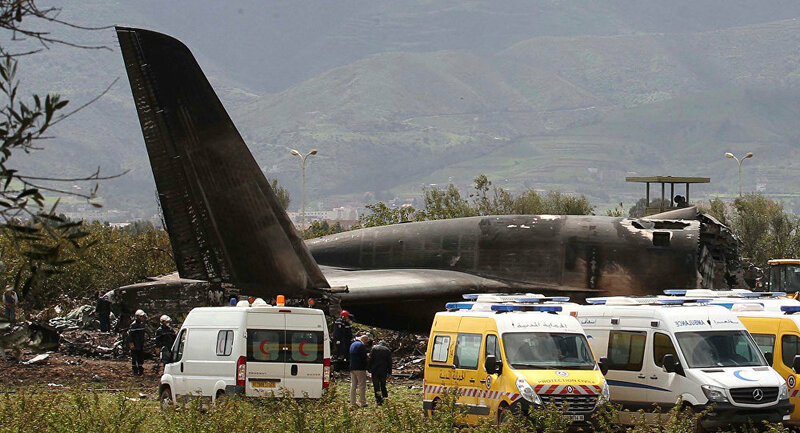 The Algerian Air Force Il-76 crashed shortly after takeoff from Boufarik Airport. Witnesses report that the wing was on fire as the plane went down. There were no survivors. The investigation is ongoing.